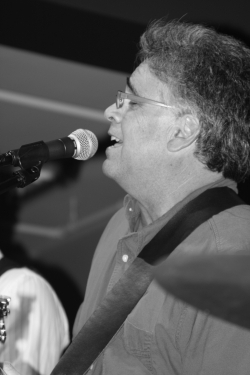 The Zins are made up of professional musicians who just love playing music together. We rehearse once a week, and we always try and challenge ourselves musically. The goal of the band is to play music that is fun to play, our audience enjoys listening to and takes advantage of our musicianship. The Zins were formed in 2006 when Val and Jeff met playing jazz at Ace in the Hole in Sebastopol. They formed an instant and long-lasting bond and friendship, and the rest is history. 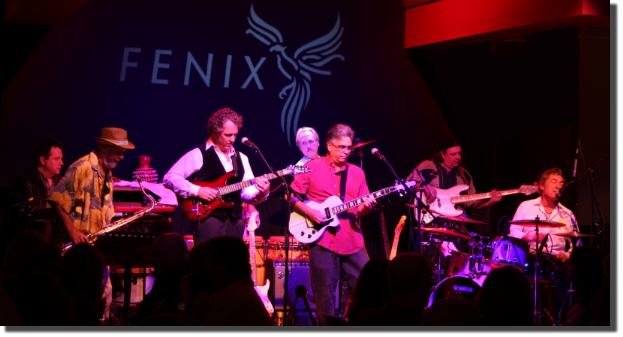 Several very talented musicians have played with the band over the years, and the current lineup reflects the style, energy and professionalism The Zins have become known for. Click on the pictures above to read more about each of the band members. 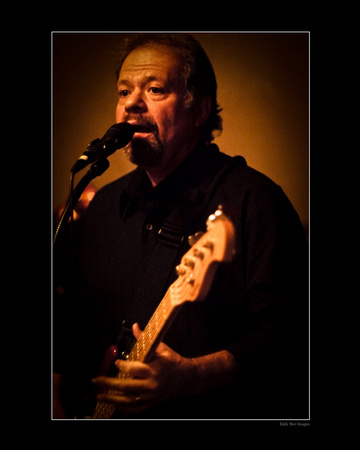 Val (Wikipedia) is a professional, passionate musician who began his musical career playing the blues clubs around Chicago where he grew up. At the time he didn't have a clue that he'd soon be playing and recording with bands who now garner Gold and Platinum records. After making his way to the West Coast he quickly became one of the founding members of the legendary San Francisco rock band Its A Beautiful Day. The band scored a Gold Record with their first album, due largely the popularity of some of the hits that brought them all fame including the award winning and timeless songs “White Bird” and "Girl with No Eyes". It’s A Beautiful Day continues to tour extensively in the US and Europe including gigs at the Royal Albert Hall and Carnegie Hall. Val had also sung and performed with numerous Bay Area groups including The Zins, Shadowfax, Fat Chance, New Riders of the Purple Sage, Chris Rowan (of The Rowan Brothers), and Linda Imperial Band. 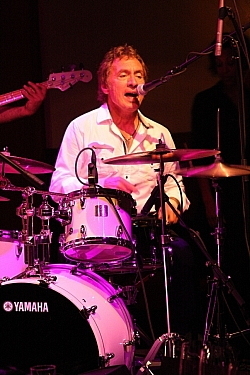 Val is a founding member of the It's A Beautiful Day Band and has performed on every one of the It's A Beautiful Day recordings. Originally from Long Island, New York, Michael Prichard got his musical start early singing in a neighborhood Doo-Wop group, The Four Aces. He soon found his way to the trumpet and eventually his instrument of choice: the Drums. Prichard moved to Bay Area in the late Sixties, majored in Music at College of Marin and studied Drumset with local legend, Chuck Brown. He then went off to the University of West Florida to continue Music Studies. He eventually got a job as a Disc Jockey on WNVY “Progressive Country” Radio where he started meeting many touring musicians. It wasn’t long before he was on the road playing Drumset with various Rock and Country gigs (Johnny Paycheck, Nat Stuckey, and Gene Watson). In 1980, Prichard was invited back to California to join a band with a pending contract, and study with Tom Donlinger and Pete Magadini. 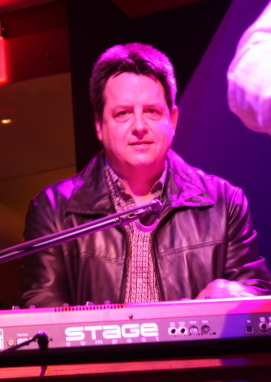 He played the local club circuit and did “the road thing” throughout the 80’s and 90’s. He recently became fascinated by Afro-Cuban rhythms after hearing some old Chano Pazo, Pello el Afrokan, and Los Van Van records. 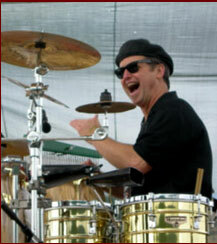 He is currently working as a Percussionist with Local favorites: the Zins and Sixties icon, “It’s a Beautiful Day. He also plays Drumset with rockers, Stagefright and Percussion in the Trio, Wall of Rhythm. 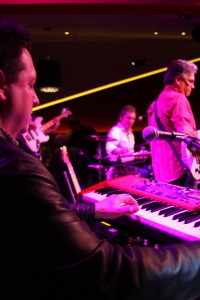 Jeff started playing piano at the age of seven while living in Cape Town, South Africa and it became an immediate and unstoppable passion. Since then he’s played in everything from 18 piece Jazz Big Bands, Rock & Roll , Country , 50's Americana, Funk Bands and small Jazz Trios. He met Val Fuentes in 2006 and formed the 7 Zins band shortly after that. 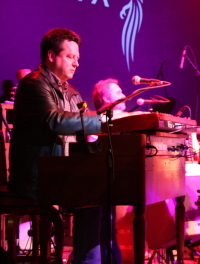 After perfecting the Organ in his keyboard rig and getting his first B3 & 147 Leslie, his influences quickly became Papa John Grows, Jimmy Smith, Jimmy McGriff, John Medesky, The Meters, Booker T, Robert Walter, and several other funky players. He carts his Leslie speaker for his organ everywhere he plays as he refuses to settle for inferior sounding retro instruments. He's also the Founder/CEO of VinoPRO in Santa Rosa - a " 2013 Inc 500 company" that sells wine over the phone for clients such as Robert Mondavi, Constellation, Treasury, Berringer, Jackson Family Wines, Kendall Jackson, Iron Horse Vineyards, and many, many other prestigious winery brands. Rob received his B.A. in music in 1981 from SSU; Guitarist for-- It’s A Beautiful Day - 2014; The Ecclectics 1981-1983; The Simplistics, 1982-1985; Wild Life, 1985-1988; Pink Section1988-1989; Roxy, 1989-1990;Bang Theory,1990; Hidden Pictures, 1990-1992; Muddy Rivers Revue, 1998-2006; Orjasm, 2005-2007; The 7 Zins 2007. Rob has backed up for The Coasters, The Drifters, The Diamonds and Al Wilson. 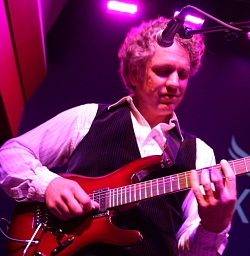 Rob has opened up for Tommy Tutone, The Tubes, Foghat, Maria Muldaur and Eric Martin. 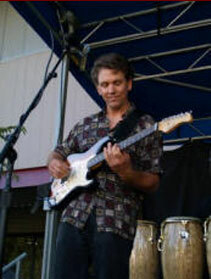 He has performed thousands of gigs from Phoenix to Oregon, and recorded for numerous jazz, blues and rock projects, including his own. His influences range from the Beatles, Led Zepplin, Frank Zappa , Yes, And John McGlaughin to Miles Davis, John Coletrane, Wes Montgomery, Debussey, Bach, Stravinskey, Will Johnson, Dastur, etc,....too many to name. Through good times and rough times, music pulls us through together. Harmony, Peace and Love to all. A few chords shown to him by a sister and a 13th birthday offer of guitar lessons set Jim off on a lifelong path of musical exploration. “ it’s about making your sound, putting your stamp on it. ; It’s a chase but that’s the thrill. Every time I pick up a guitar I’m looking for it”. Jim joined his first band at 15 and 38 years later is still following that muse. 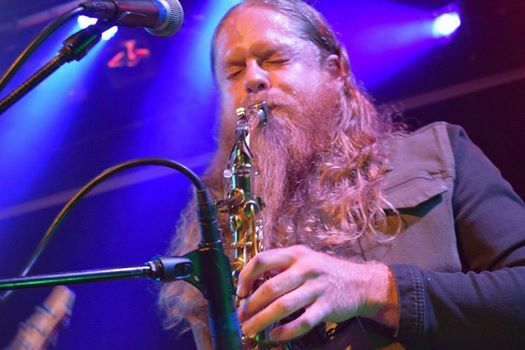 Originally from Oakland, Jim moved to Sonoma County 8 years ago and hooked up with local musicians lending his guitar and vocals to many projects including the Trish Perry band, R&R Theory, Voodoo Blue, Phenix with vocalist Robin Beardini, and fiddle wiz Chris Rovetti. 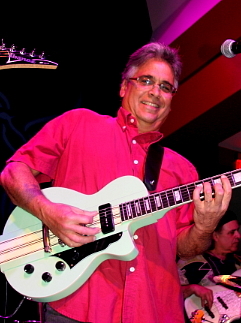 Ray Fernandez has played professionally for 35 years. He has played and toured with The Mad Maggies, The Overcommitments, Lagos Roots Afrobeat Ensemble, and many more. Ray performed in the house band for The San Francisco Mime Troupe’s award winning play Freedomland in 2015 and 2016. Steeped in R&B, soul, funk, rock, and jazz, multi-instrumentalist Ray Fernandez always brings it from the heart.